If you're anything like me, you go on holiday to have a good time, not to save the world. But, be honest, wouldn't you like to know your break could be about giving, not just taking? Situated on the relatively undiscovered southern Tanzania coastline, just 35km south of Dar es Salaam, Ras Kutani is a unique boutique beach retreat, which sits within 100 acres of lush tropical, coastal forest. As much of Tanzania’s coastline has suffered from heavy deforestation, this truly is a hidden gem which offers a rare opportunity to explore one of the most bio-diverse indigenous coastal forests in East Africa. Thanks to owner and keen conservationist, Charles Dobie, this idyllic forest has been saved, cultivated and is now continuously patrolled in order to protect it and retain its natural beauty. The forest boasts 132 different species of trees, including mango trees (famous for their spectacular fruit) and the Marula tree (prized for its rich bounty of fruit, and the oil from the kernel, which is used to make moisturizer). Guests can enjoy watching the antics of four species of monkey, including the spectacular black-and-white colobus, as well as many species of birds, baboons, wild pigs, the elusive Civet Cats and other wildlife. Africa Odyssey is offering a seven-night break during the turtle’s hatching season from £1,907 ($3005) per person - a saving of £183 ($288 ) Valid for selected dates throughout February, the price includes return flights from Dublin (via Heathrow), internal transfers, accommodation at Ras Kutani on a full-board basis, taxes and surcharges. Complimentary snorkelling equipment, kayaks and boogie boards are available for those that wish to venture from their hammock or beach bed. The luxurious version of the BlueTEC Mercedes Benz Sprinter features tandem wheel suspension adding to both safety and a smoother ride. 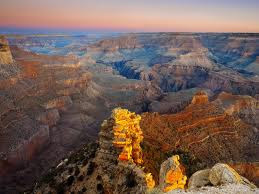 Even more obvious to the customer are the company’s upgrades including extra large picture windows, flat screen TVs, surround sound, upgraded seating, limousine lighting and the indulgence of sharing the Grand Canyon and Hoover Dam experience in the intimacy of a vehicle with as few as twelve seats. 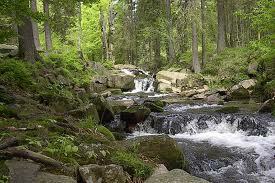 Environmental charity BTCV is running a conservation holiday in the enchanted Harz National Park in Germany this summer. Holidaymakers will be carrying out practical work to conserve the forest’s wild beauty. Based in foothills near Bad Harzburg, the conservation teams will be working within the park and will have the opportunity to really get a real feel for the majesty and beauty of the place. The Harz National Park stretches from the low mountain range near Herzberg in the southern part of the mountains, across the Harz massif to its northern slopes near Bad Harzburg and Ilsenburg. It offers the entire range of characteristic ecological systems, variations in height, slopes and rocks. hay-making how to repair footpaths, bridges and signs. 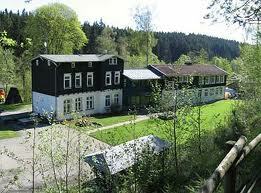 Accommodation is at the Jugendwaldheim Brunnenbachsmühle – a huge and comfortable outdoor centre near Braunlage at the northern end of the park. A continental breakfast and packed lunch will be prepared for guests, with dinner self-catered as a group. The holiday takes place July 14 to 22 and costs £390 ($615) excluding travel.